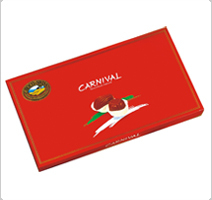 Multinational corporations such as American Express, Standard Chartered Bank, Corning, Foster's, Lufthansa, Jet Airways, Blue Dart, Air India , Indian Airlines, Hutch, Grasim and IBM are using Choco-Swiss products which make outstanding gifts when compared to traditional sweets which suffer from a short shelf life of only a day or two. 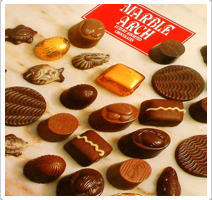 Customized packaging and Chocolates with Company logos as per customer's own requirements can also be supplied. This customized service is of particular importance to several five star hotel chains which have been serving Choco-Swiss chocolates to their guests as part of their room hospitality.